Many developers and ranchers want the big cat taken off the endangered list. The Florida Panther has been on the federal endangered list since the list began in 1967. There were only 20-30 panthers in the mid-1990s, when Texas cougars were brought in to mate. Sierra Club in comments said the best available scientific information shows that the Panther population was at most 139 in 2015. It also says the U.S. Fish and Wildlife's estimate of up to 230 panthers is based on incorrect methodology and according to the best available scientific information, there is only one panther population, not the two required for downlisting. Meanwhile, 2015 and 2016, 84 were killed, mostly on roads. So far, 22 panthers have died this year, 17 by vehicles. 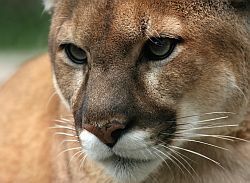 The Sierra Club's official comments detailing why the Florida Panther should not be downlisted can be read here. 1. The size and distribution of the Florida panther population is insufficient to downlist the status of the subspecies to threatened. 2. Vehicle collisions are a major threat to the Florida panther population. 3. The effects of continued habitat loss and fragmentation are even more severe than previously acknowledged.